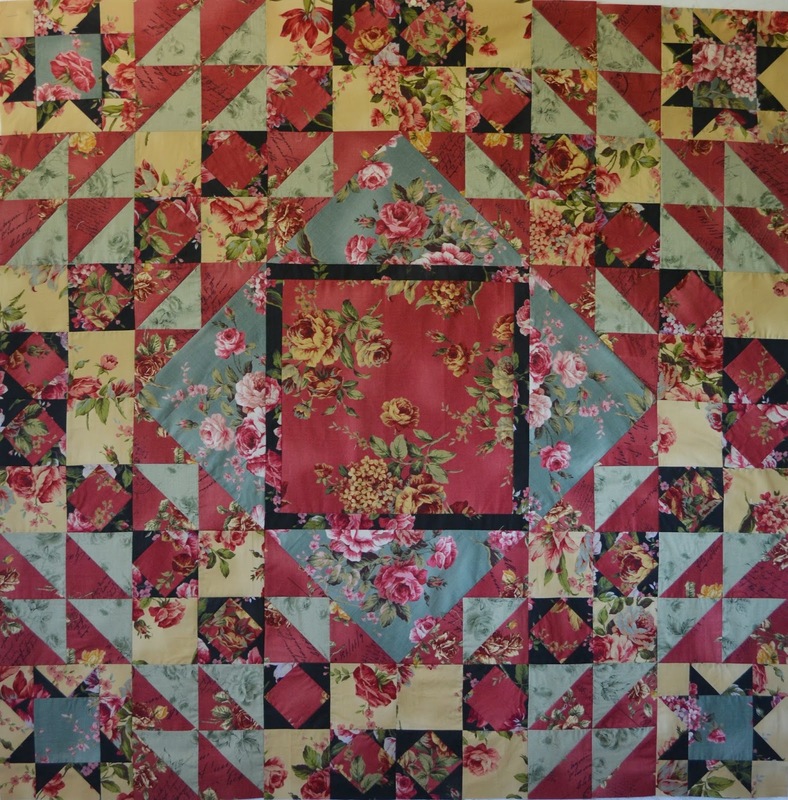 I love to piece quilt tops and I had a package of fat quarters from a customer that she wanted made into this quilt: Raspberry Parfait by Verna Mosquera of The Vintage Spool. The fabrics she chose are Floral Collection Antique Rose printed by Lecien in Japan. Normally, I stay away from quilts with lots of triangles, because they can be fussy and sometimes it's hard to keep points sharp and pieces of fabric from stretching with bias edges. I must say that I am very happy with this quilt. I slowed down my sewing speed and took the time to trim up pieces that were out of shape as I went and the end result shows that attention to detail. Now, I just need a trip to the fabric store to find a backing so I can quilt it!